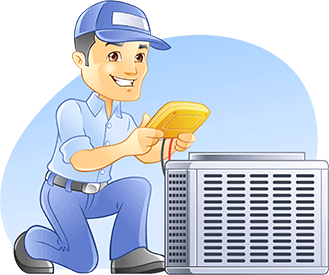 There are spaces which are so small that the installation of a cooling system can be difficult. Placing an all-in-one system inside a crawl space or an attic, for instance, may not yield ideal results. It is for these kinds of situations that we need to seek out suitable solutions. One of them is the use of a ductless mini split system. These are localized units that are perfect for cooling tiny portions of a house or building. Split systems, as the name implies, features two separate components. One is meant to be installed indoors to deliver the cold air to the room. The other is meant to stay outdoors where the bulk of the cooling process happens. The smaller indoor unit makes it easier to find a good position on the wall despite having a limited area. Here is no need to drill a large hole across because only a thin hose has to pass through to the other side. The division has a nice side effect: the reduction of noise inside the room compared to traditional setups. The motor and compressor are shifted outside where they still emit the same level of sound. However, this will be muted by the walls that separate the house from the outdoors. Only the soft hum of the indoor fan will be audible. This will mean more quiet nights and restful slumber for the homeowners. Perhaps the best thing about this setup is that small split units can be installed per room. Occupants can individually change the settings in their thermostat to suit their needs. If someone wants it colder, he can drop the temperature setting without adversely affecting others. Everyone has the freedom to make independent choices. Contact Gilbert Home Comfort for more information about installing a ductless mini split system. 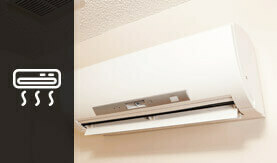 Dictless Mini Splits heating and cooling is one of the most efficient ways to remain comfortable in the hard to reach areas of your home or business.